Now that cold and flu season is right around the corner, you’re about to be bombarded with advertisements for flu shots and medications. While we respect your decision to use these methods to prevent or get over your cold or flu. However, this blog is dedicated to sharing with you how we can all boost our immunity this year to fight off a cold or flu – naturally. There is no biological reason we have to catch a cold or get the flu. The fact is that a cold or flu is most often a sign of a weak immune system. By becoming sufficient in your essential micronutrients, (vitamins, minerals, fatty acids, and amino acids) you can create an immune system capable of doing its job – which is to keep you well. Not only can you save yourself the pain and discomfort of dealing with these illnesses, but you also won’t miss work, or those fun holiday parties you actually want to go to, and as a bonus you’ll find that you have more energy as well! There is a good reason why the colds season peaks during and mostly after the holidays – SUGAR! When most people get sick they grab over the counter cold medications, or even prescription medications, but is this the best first step? WATCH OUT- Children’s medications are no better: According to research at The Hospital for Sick Children in Canada, Penicillin, in solution form, is 80% sugar. Three of the other top ten children’s medications came in above 60% sugar. This gives a whole new meaning to Mary Poppins magic spoonful of sugar. So check the label, you may be lowering your child’s immune system with every spoonful of that vitamin C blocking, sugar laden children’s medicine. Look to your food as a first line of defense. This year we are focusing on foods that fuel us, keep us healthy, and help us to reach our health goals. To do this we are going to omit foods that cause sugar cravings, make us sick, and pack on the holiday pounds. 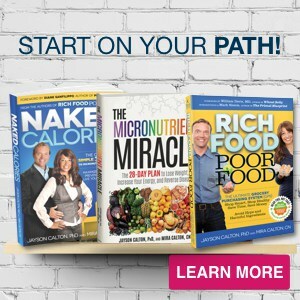 Our goal is to put an end to getting on the same unhealthy merry-go-round most of us find ourselves on year after year. Here is a perfect day of immunity boosting deliciousness! While we have discovered many approaches to enhancing wellness on The Calton Project (our 7 year, 135+ country global expedition), here is a breakfast that can help you start your day by making sure your gut is strong. No, we won’t be doing sit ups. In order to stay healthy we need to make sure that the good bacteria in our gut are working efficiently – because almost 80% of our immune system resides in our gut. One way to do this is by eating yogurt with fresh strawberries. The “live active cultures” or probiotics found in a quality yogurt are healthy bacteria that have the power to keep the gut and intestinal tract free of disease-causing germs. In an 80-day Swedish study those who took in these probiotics increased their immunity and took 33% less sick days. WARNING: we aren’t talking the sugar-sweetened yogurts sold in many grocery stores. We already discussed how sugar lowers immunity. You want to look for an unsweetened, plain yogurt (try organic – unpasteurized yogurt if possible) and add in some of our next micronutrient immunity boosting food – strawberries! Always try to buy them locally, this way you can be assured that they haven’t lost too many of their vitamins and minerals during transport. You should also choose organic strawberries because conventional strawberries are on our terrible twenty list, which means they are at a high risk of heavy pesticide residue. Strawberries are a great weapon for fighting colds. They are a rich source of immunity-boosting vitamin C, and eating strawberries causes your body to produce higher levels of antibodies and white blood cells. Mix them in to the plain organic yogurt add a little stevia (we recommend stevita unflavored drops), a natural sweetener, to replace the sugar, and you have a fantastic immunity boosting breakfast that tastes great! 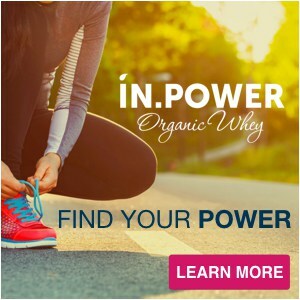 BONUS – add in a scoop of IN.POWER organic protein powder and make your yogurt and strawberry bowl into a powerhouse meal that will help control blood sugar and keep your feeling full! Millions of Americans are deficient in zinc. However, even a mild zinc deficiency can increase your risk of infection. This is because zinc is very important for the development of white blood cells, and these white blood cells act like your immunity military that recognizes and destroys invading bacteria, viruses, and assorted other bad guys. Beef is a great source of zinc. They are so easy to make and they are a great alternative to French fries if for no other reason than carrots are lower on the glycemic index than potatoes (47 vs. 85). Just cut them into French fry type strips, coat them very lightly with oil (we use SKINNYFat original) and then pop them in the oven to bake at 350 degrees for 25 to 35 minutes. These are great because the carrots are loaded with beta-carotene, a phytonutrient that increases your body’s production of T-cells and natural killer cells. 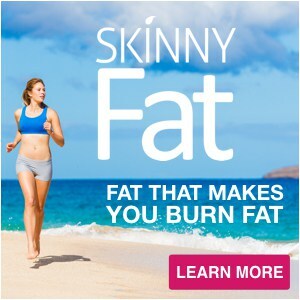 The SKINNYFat is also antiviral and antibacterial and can help fight infections too! Dinner: Salmon and broccoli – with a secret ingredient that has been shown to cut colds by 2/3 when eaten regularly. At this point, it should go without saying that we recommend wild caught salmon (because we do not believe in feeding corn to a carnivorous fish) and because it has much higher levels of omega-3. First, salmon has selenium, which helps white blood cells produce specific proteins that help clear flu viruses out of the body. Additionally, wild salmon is a great source of omega-3, which reduces inflammation, increasing airflow and protects lungs from respiratory infections. Broccoli has amazing health benefits. First, it has a dynamic trio of phytonutrients that support the body's detoxification process by eliminating unwanted contaminants. We’re going to put a little garlic butter on our vegetables and fish. Using grass fed butter infuses the meal with even more beta carotene (400% more to be exact) while the garlic contains a potent infection fighting component known as, allicin, which when eaten on a regular basis has been shown to reduce colds by two-thirds in studies. 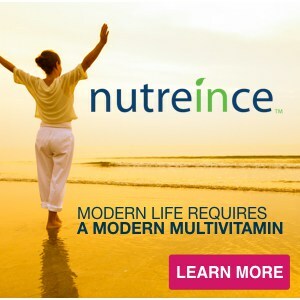 Micronutrient sufficiency is the first step to optimal health. Additionally, some studies have linked fish oil supplementation to boosted activity of a white blood cell called a B cell, a vital part of the body’s immune response. 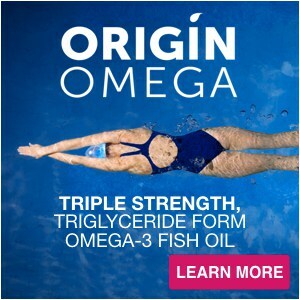 Taking a high quality fish oil supplement (like Origin Omega), that supplies a good clean triglyceride form of EPA and DHA, can really help to boost your omega-3 levels and keep the colds at bay this year. 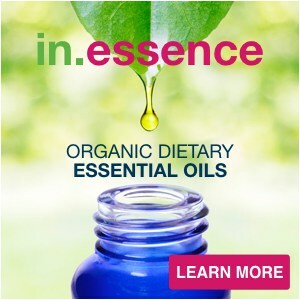 If you're feeling overwhelmed when it comes to your diet, and unsure if you are micronutrient sufficient, the best place to start is with a little understanding of what your personal micronutrient levels are right now so that you can see if they are putting you are risk of an impaired immune system. You can take our FREE micronutrient sufficiency analysis, and get your personal score in less than 3 minutes – CLICK HERE.